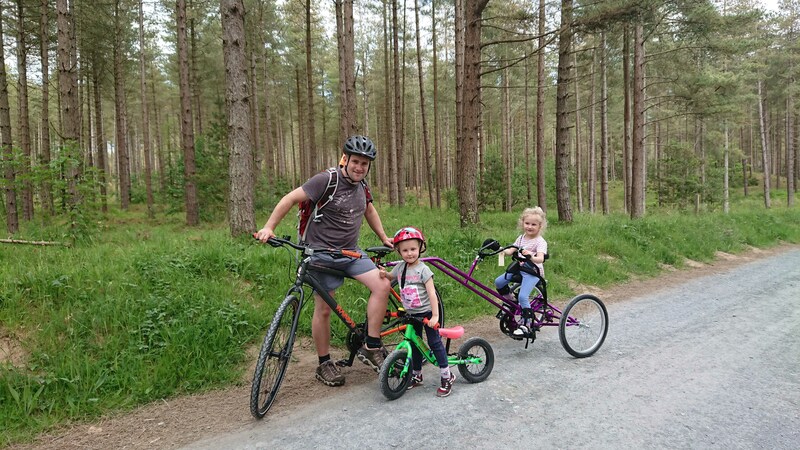 A four-year-old girl from Anglesey is now able to enjoy bike rides with her twin sister and parents thanks to the donation of a Tomcat Trike from the Steve Morgan Foundation. The Foundation’s Enable programme has made a donation of £2,500 to young Lilly for the Tomcat Trailer Trike, which can also be attached to one of her parents’ bikes if necessary. Lilly suffers from cerebral palsy, which leads to diminished muscle strength, sensation, co-ordination and fine motor skills in her limbs. It was at the launch of the Cycling Projects ‘Wheels for All’ initiative in North Wales back in February, supported by the Steve Morgan Foundation, that Lilly and her Mum first enjoyed the experience of the trike which set the wheels quite literally in motion for the subsequent award. Lily is now able to enjoy bike rides with sister Daisy and the whole family thanks to this Enable grant.